The findings show that the devastation wrought worldwide on island wildlife by invasive species—especially snakes, rodents and mosquitoes—may be far greater than previously suspected, the authors warned. 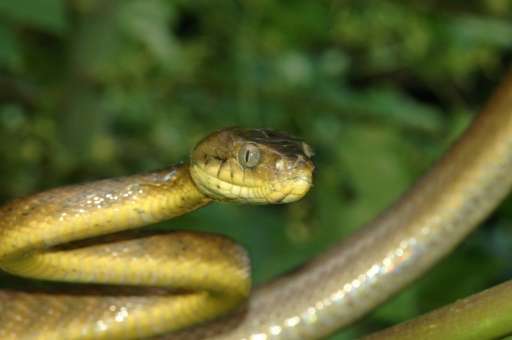 "The full impact of the brown treesnake invasion, and the loss of birds, is still unfolding," said Joshua Tewksbury, a professor at the University of Colorado and senior author of the study. Probably arriving on Guam via a cargo ship just after World War II, the venomous, brown treesnake—scientific name Boiga irregularis—hunts at night and can grow up to three metres in length. "When you're on Saipan"—a neighbouring island where the treesnakes have so far been held at bay—"there is constant bird chatter," she said. "On Guam, it's silent—it is really an eerie feeling." In the first, they placed shallow, hula hoop-sized baskets underneath two species of trees throughout the forests of Guam and three nearby islands where treesnakes have not invaded. 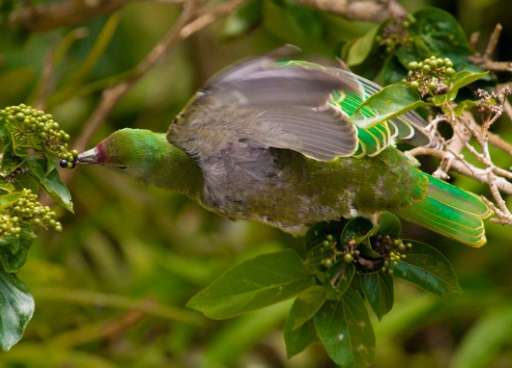 On the snake-free islands, at least 60 percent of the seeds—eaten by birds and delivered elsewhere in their poop—were scattered far and wide. The new study shows that damage extends even further in what ecologists call a "cascading" effect, resulting in the disruption of entire ecosystems.